Take that, trolls. Captain Marvel took flight, cruising over all its competition. Opening with an estimated $153 million, that's the biggest debut of the year, and already the highest-grossing movie of 2019 in just three days. Taking international grosses into account, it did even better. Adding in that $302 million, that's the fifth-biggest foreign debut and sixth-best overall debt ever. Not just for the MCU. Ever. Period. There's still plenty of genuine discussion to be had over the quality of the film, but there's no denying it's a massive success with no caveats necessary. How to Train Your Dragon: The Hidden World slipped to second place, and it's now clear that despite having the best debut of the trilogy, it's going to make far less than its predecessors. At this point, even $150 million feels out of reach. With this and The LEGO Movie 2 not even at $100 million yet, it hasn't been a great year for animated movies so far, but of course Toy Story 4 and Frozen 2 will probably make more than $100 million on their opening weekends each. A Madea Family Funeral dropped to third, but still has a chance at vaulting into the top 5 of Madea movies. It's currently in the middle of the pack after just two weeks, so it's likely it can get to $60 million and pass Why Did I Get Married Too? If it can get to $65 million, it can pass Madea's Witness Protection for the third spot. Alita: Battle Angel suffered the most from Captain Marvel's opening. Weirdly pitted against the MCU entry by jerks online – which even fans of the movie didn't appreciate – it dropped more than 55 percent. 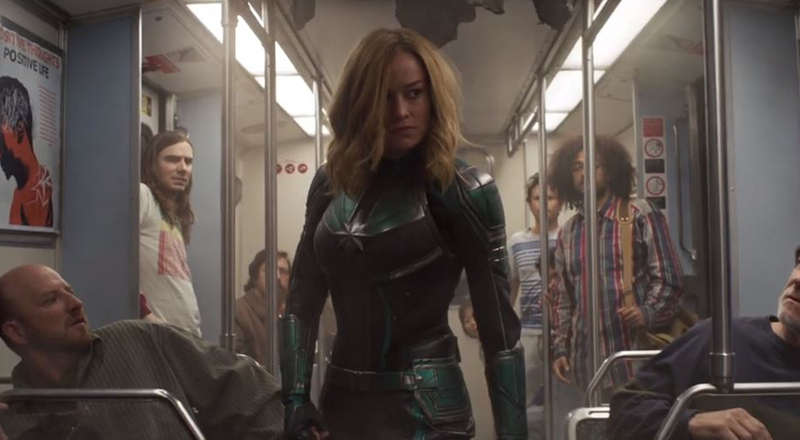 It's now sitting at $78 million here, and has only made internationally after several weeks what Captain Marvel did this weekend. This Weekend's Indie Champ: Gloria Bell, Sebastián Lelio's remake of his own romantic drama. Julianne Moore has been getting rave reviews for her performance, and the film averaged $30,955 on each of its five screens. In its fourth weekend of release, Happy Death Day 2U has now caught up with what its predecessor made its first weekend. Congratulations! It technically reached it last week, but The Upside crossed $100 million, which is pretty impressive. Along with The Mule, it was one of the rare films of recent years to take six weeks to get there. No one wants to challenge Captain Marvel, so she'll reign again, this time with about $68 million. Captive State, Five Feet Apart and Wonder Park won't even make $10 million.